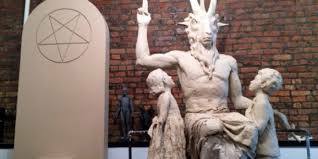 This entry was posted in Left Hand Path, Occult and tagged Black Mass, Doug Mesner, Governor Mary Fallen, Harvard Black Mass, Lucien Greaves, New York, New York Satanist, Satan, Satanic Statue, Satanism, Satanist, Satnic Monument, The Satanic Temple. Bookmark the permalink. Hello! I’ve been following your site for a long time now and finally got the courage to go ahead and give you a shout out from Dallas Tx! Just wanted to tell you keep up the great work!